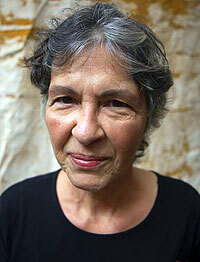 Ms Nogueira was fortunate to be taught by Isaías Savio while still at the beginning of her career. Pursuing her music and guitar studies and research, she went to England for a specialization course and subsequent Master of Music in Performance degree from Royal Northern College of Music and Victoria University of Manchester. 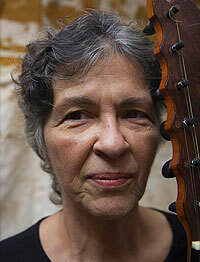 Under the auspices of several Guitar Societies, she toured and performed throughout the United Kingdom. On the strength of her research into the alaúde family of instruments, she played in the operas Gloriana (B. Britten) and Giasonni (P. Cavalli) at the 5th Buxton Festival. 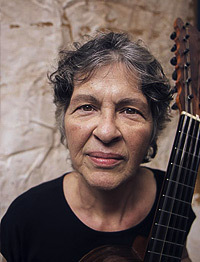 As a result of her early music research, she specialized in viola de arame technique, and Anna Maria Kieffer asked her to take part in phonographic documentation of Brazilian music from the 18th and 19th centuries. Her recorded works include Cantares D’Aquém e D’Além Mar with singer Luiza Sawaya; Viagem pelo Brasil (on the Eldorado label) and Marília de Dirceu with Anna Maria Kieffer and Edelton Gloeden; Tocata Brasileira para Pinho e Arame with guitarist Gustavo Costa; and Na Trilha do Novo Mundo with the Carmina de Música Antiga group. 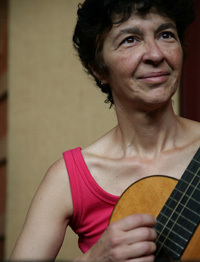 As a soloist with the UNESP Chamber Orchestra under conductor Achille Picchi, she played Leo Brower's Três Danzas Concertantes for guitar and strings orchestra. 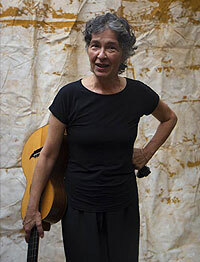 As guitarist with the chamber ensemble of the São Paulo Choir of the Municipal Theater of São Paulo, she took part in a concert honoring Garcia Lorca. As a music educator in Brazil, she is professor of the Music Department of the Arts Institute and coordinator of the Music Courses Council at UNESP. She holds a doctorate in Communication Sciences from ECA-USP. When playing with ANIMA, Gisela uses a replica viola d´arame made by luthier Roberto Gomes (São João Del Rey) from an original dated 1769 found at the Capivari rural property in the state of Minas Gerais. viola de arame construída por Roberto Gomes, São João Del Rey, MG, 1988, sobre modelo original encontrado em Tiradentes, Fazenda Capivari, datado do ano de 1765.